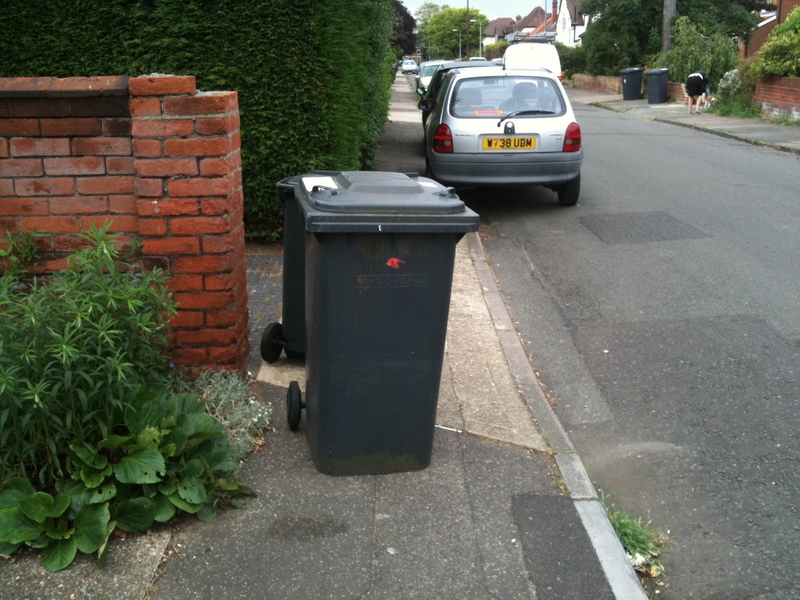 Having been rebuffed by the council waste team in relation to my request that bins are not left after collection where they obstruct pedestrians in what I consider to be an illegal manner I decided to ask one of the bin men themselves why they left them on the pavement rather than within the property. He was initially a bit defensive but then said ‘the first thing we are told is not to block driveways because otherwise motorists will have to stop in the road to move them and it will cause havoc‘. He also claimed that they never obstruct the pavement, by which I assume he meant ‘totally block the pavement’. He acknowledge that they did also leave bins on the pavement even where there was already a car on the driveway so it was unlikely that it would ’cause havoc’ to put them back where they got them from! 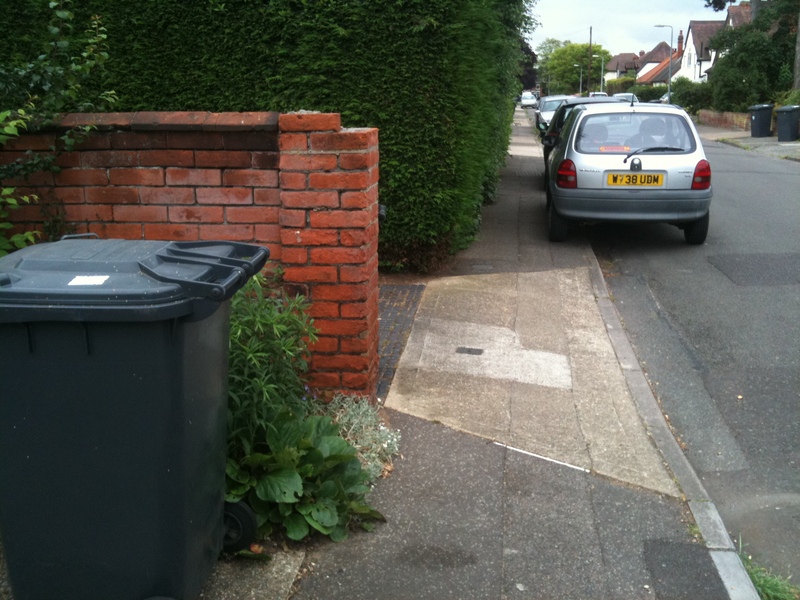 I then took a walk up the pavement to see how usable it was and it didn’t take long to find this example where there was only 400mm between the edge of the bin and the kerb, which is about half the width of a typical external door to a house! Two photos, one where the binmen had left it and another where I consider that they should have left it.